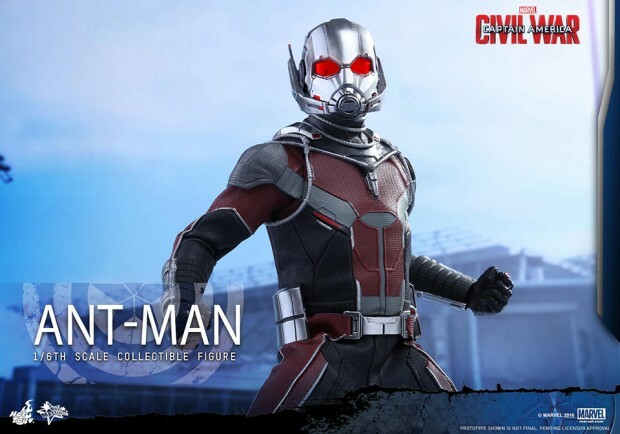 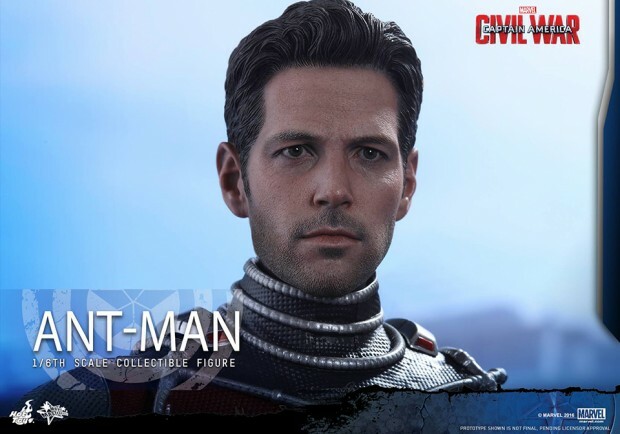 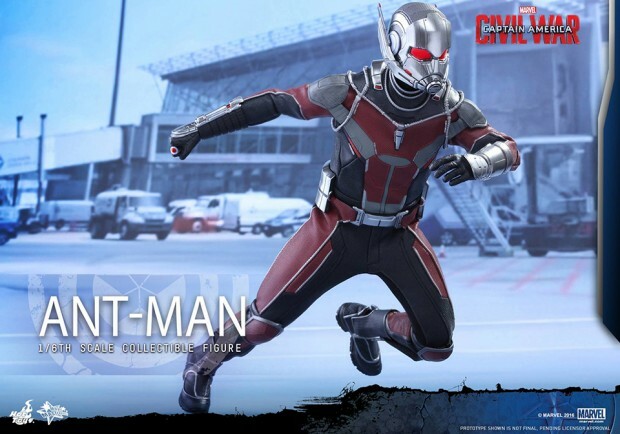 Hot Toys’ second Ant-Man action figure is based on Scott Lang’s new and much more boring costume from the upcoming Captain America: Civil War. 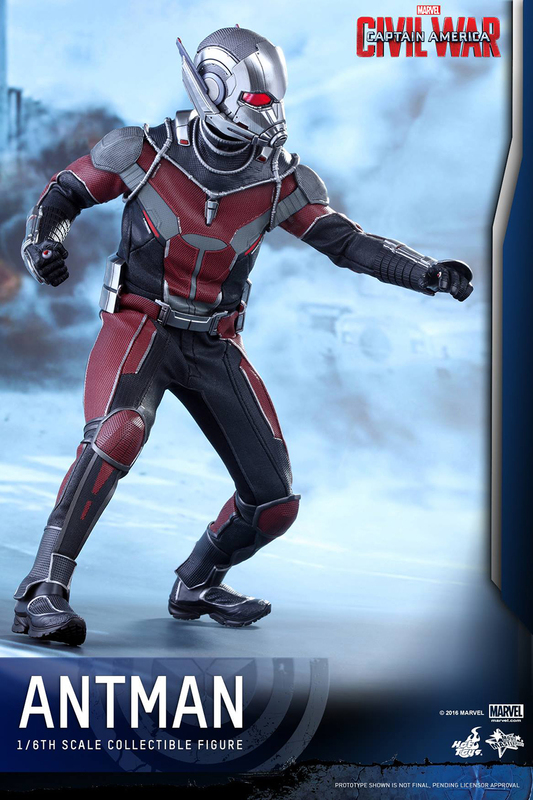 The good news is that this one comes with an alternate head with no helmet on. 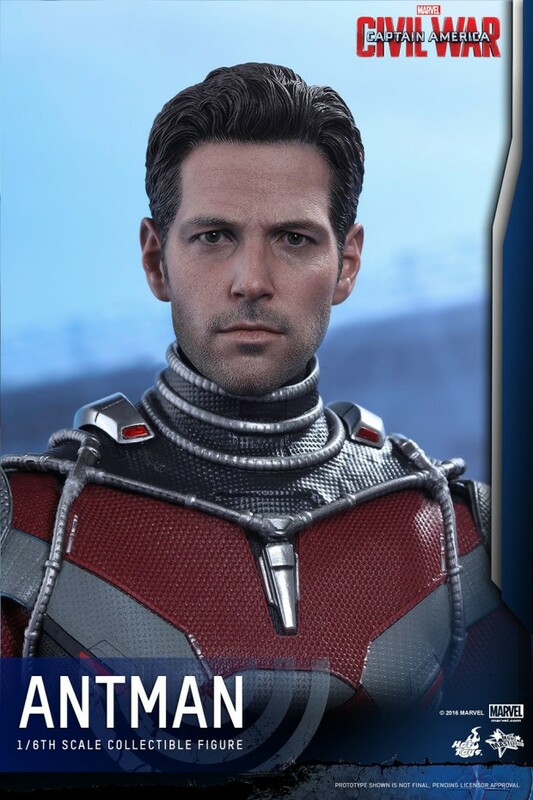 The bad news is that it looks more like Casey Affleck with Ben Affleck’s hair than Paul Rudd. 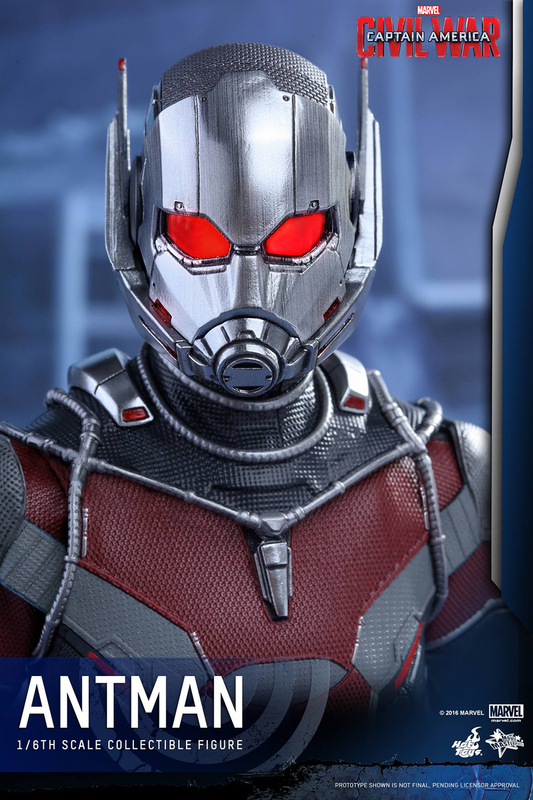 I sure hope Hot Toys can fix that. 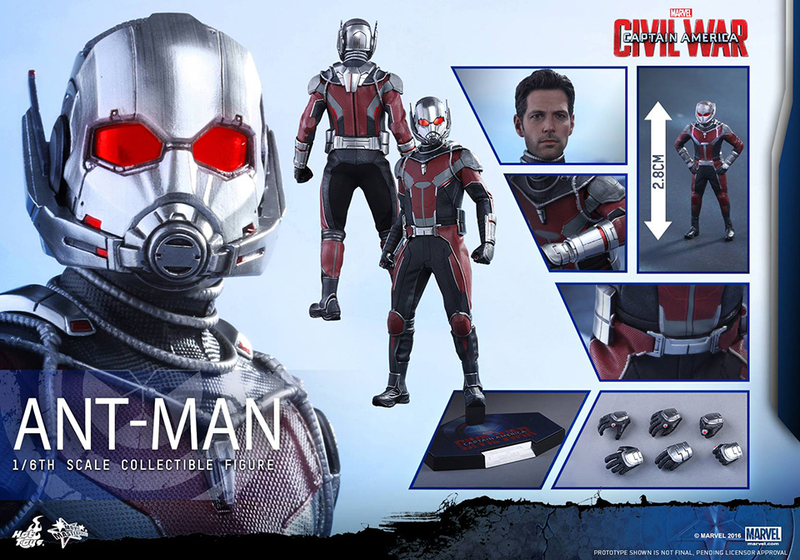 The action figure also comes with three pairs of hands and the customary tiny Ant-Man figure. 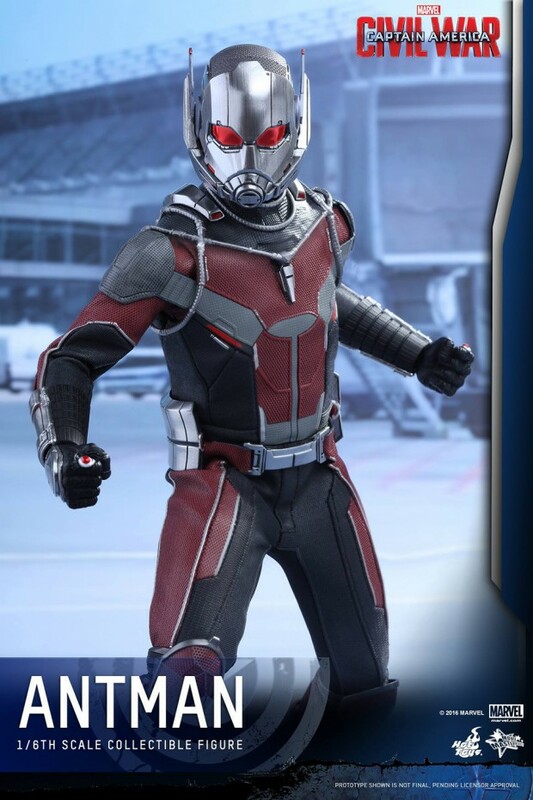 You can pre-order it from BigBadToyStore for $235 (USD). 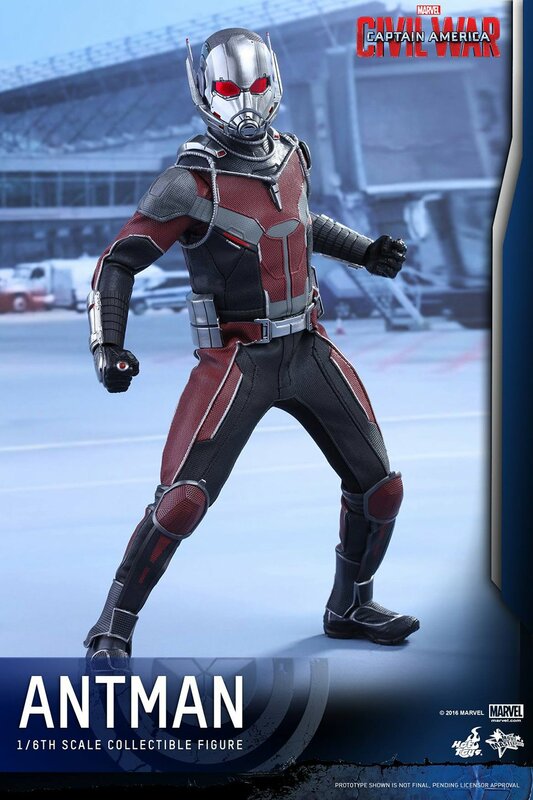 Seriously though, I know that Marvel is going for a semi-realistic look for these characters, but Ant-Man, Falcon and Hawkeye’s costumes are so bland. 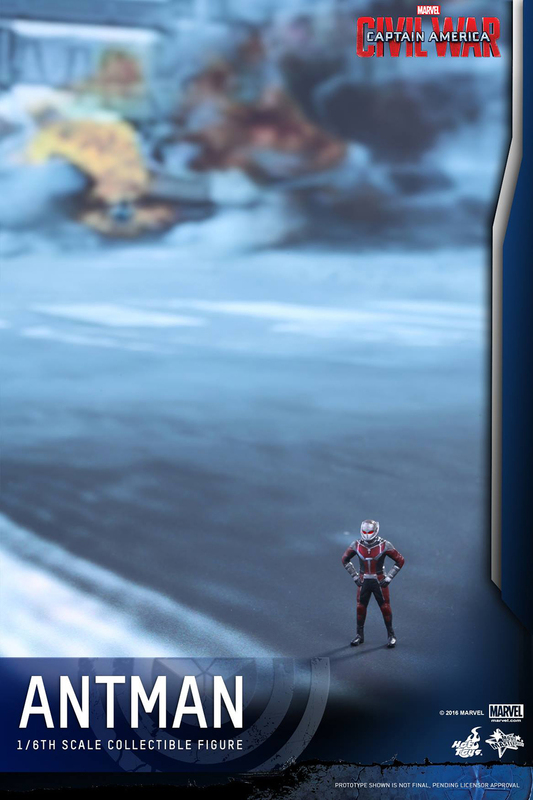 These dudes should hit up Melvin Potter. 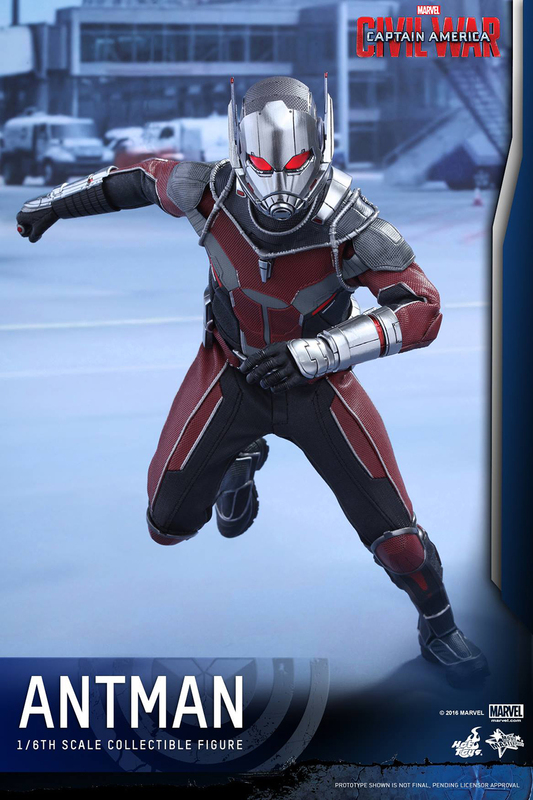 Or you know, that Tony Stark dude. 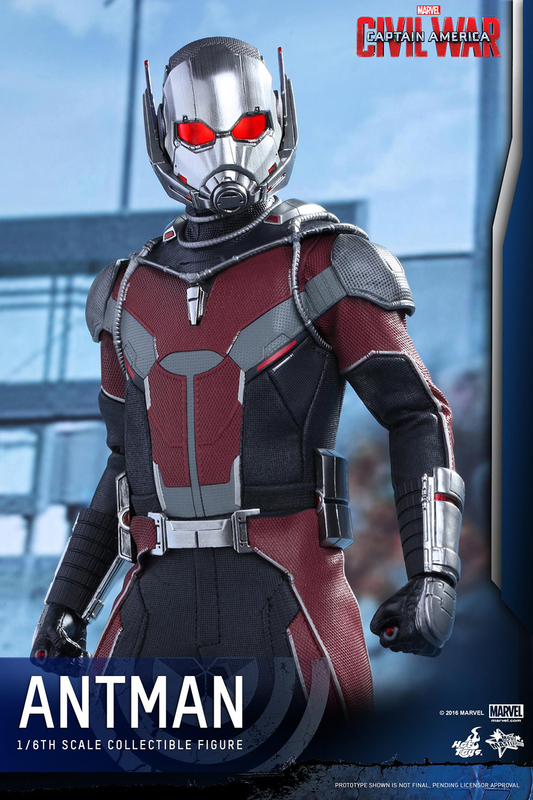 I hear he makes great armored suits.